Sunday the 7th of December 2014 was the annual Santa Run in aid of Farleigh Hospice. This is a 5km run around Chelmsford’s Central Park. 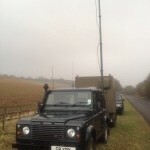 Essex RAYNET provided the communications for the event, which involved setting up a repeater from Vince G8YPK’s landrover. 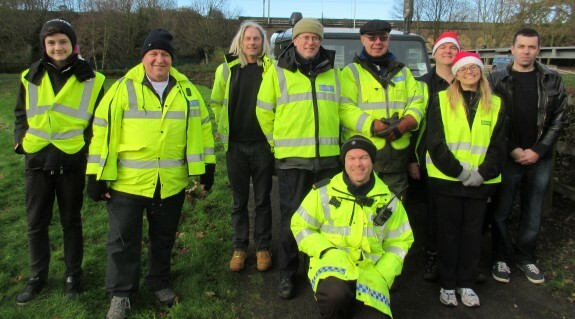 Four checkpoints were staffed by Essex RAYNET members at strategic points along the route, and a sweep team followed behind the last participants, standing down the Farleigh marshals and collecting the direction signs. As the name suggests, Santa outfits were pretty much mandatory for the runners, meaning nearly 700 Santas set off from Central Park just after 11am – some running, and some strolling. ‘Rudolph’ led the pack of Santas on a bike, to set the pace. In the finale to today’s activities, Essex RAYNET was pressed into service to try to help free the British Red Cross ambulance that became embedded in the mud at the end of the event. Well done to all involved with today’s Santa Run: Farleigh Hospice helpers, Essex RAYNET, the event organisers, and of course, the Santa runners. I can spot myself in some them photos. I am the one dressed as santa Hi Ho. Yes it is always nice to enjoy the hobby and help our local community at the same time. Some good results using simplex DMR handheld radios between some of the check points.